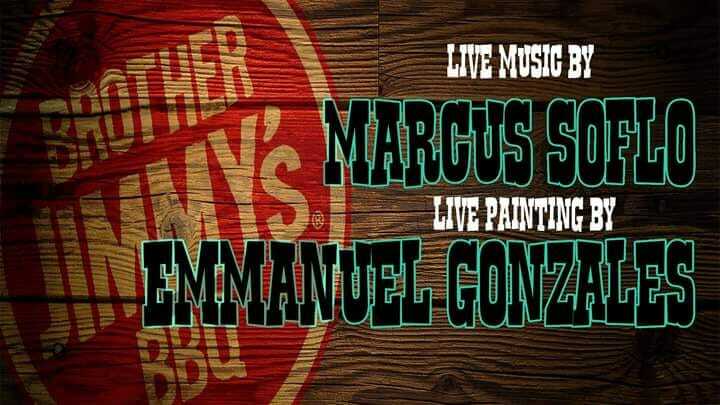 Join us on Friday April, 13th 2018 at 9:00 for an immersive art performance with live painting by Emmanuel Gonzales and live music by Marcus Soflo! With this demonstration, the artists hope to challenge your ideas about art. An inside peek at the creative process will add a new dimension for viewers - rather than just a song in an album or a picture on the wall, art becomes a collective experience when shared live. Come, have fun, and play your part in the creation of something beautiful!